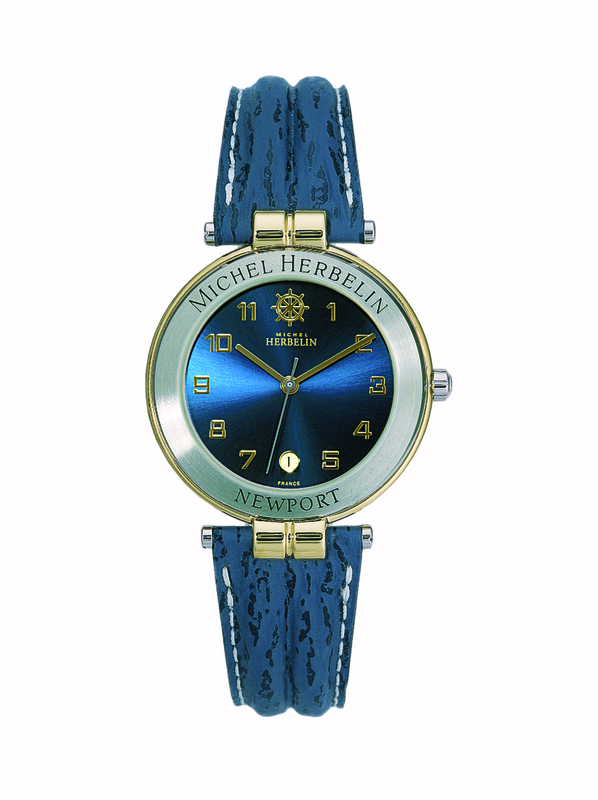 Michel Herbelin has announced a modern recreation of its 1988 Newport piece. The 30th anniversary Newport combines design elements of the original with more modern touches that have been introduced since a major redesign in 2010. The 41mm watch comes in a stainless steel case with anthracite grey PVD coating, along with a bezel that houses five screws intended to mimic the winches of a yacht. The dial comes in black carbon with a blue outer-ring. Beneath the sapphire and dial is the Swiss-made ETA automatic mechanical movement that clocks 28,800 vibrations per hour, as well as accounting for 42 hours of autonomy and the central hours, minutes and seconds and finally a 3 o’clock placed date window. The central display is shown with black nickel hours and minutes hands. The boating piece also includes a crown based off a ship’s wheel and a sporty blue rubber strap. The watch is set to sell for €1,250.